Castella Architectural Hardware is a range of globally sourced cabinet knobs and handles for kitchen designers, interior designers and architects. We are an Australian family owned company with three generations working side by side, fully committed to delivering the highest quality service to their clients. We offer a cost effective alternative to replacing your existing kitchen or bathroom by Resurfacing it! Yes we can even do commercial premises, motels, resorts, B&B’s, commercial kitchens, hair salons, retail counters and the list goes on. Thinking of selling your home? Update your kitchen and/or bathroom for approximately a 1/3 of the cost of replacement and add thousands to the value of your home just by Resurfacing it! If you want to increase your rental return, update a tired kitchen and/or bathroom, you’re tenants will love it and you’ll get a better return on your investment. Don’t replace it, Resurface it! Use the Houzz Professionals listings to find Hobart, Tasmania kitchen and bath accessory vendors. Don’t rule out asking a kitchen manufacturer’s design team for help, too. Skills often can be overlapped to save you time and money! Here are some related professionals and vendors to complement the work of kitchen & bathroom fixtures: Kitchen & Bathroom Designers, Kitchen & Bath Renovators, Interior Designers & Decorators, Joinery and Cabinet Makers. Find kitchen and bath fixtures and accessories, plus installation experts, on Houzz. Check out Tasmania kitchen products and installers, and bath plumbing products and installers, on Houzz. 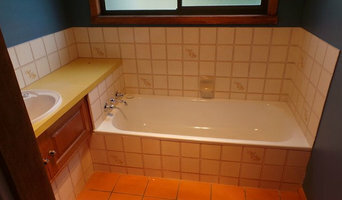 You can also look through project photos provided by Hobart, Tasmania renovators, retailers and designers.